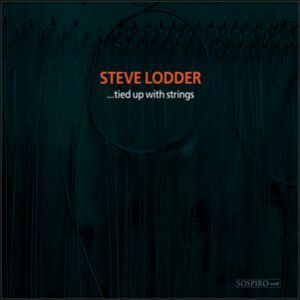 Steve Lodder has featured on many other artists’ albums but this is only his second solo recording and it is high time he was heard in his own right once more. "...given the oppurtunity to make an album for sospiro,I collected some ‘favourite things’,and without really controlling it,it fell into this space between what people would call classical and jazz,but as we all know,in the end it’s just music that gets to you or doesn’t get to you, hopefully this does." 1] this 14C tune has been around a while,I was introduced to it as a fresh-faced organist at Cambridge. ...love the way it kicks you into improvisation...there's something also in knowing it's from the earliest surviving keyboard music collection. robertsbridge codex is in the british library have improvised with this over the years.....mark ramsden’s ‘above the clouds’ notably. 2] history lives here too...bronze age burial mounds,tudor hunting grounds... in this part of dorset I always feel at home,family history too. hope this gives the feeling of the excitement of the chase,but also the luxurious calm of a dorset misty morning. 3] No need for improvisation here, JS has been there before and written it down so that the perfection of line is always there as an example of how it should be done. for me js bach is the source,he seemes to lay down the carpet for everyone else to walk on for the next couple of hundred years....I still laugh out loud at his daring and joy of discovery when dipping into the 48 preludes and fugues. 4] ...please make your own pictures. improvisation is something that has always been there,starting off a practise session,filling in while the vicar moves from pulpit to altar;sometimes it has a theme,or as in these 2 madeups,it’s just it’s own thing. 5] a simple and skilled marriage of melody and unexpected harmony,motown writing factory at it's best. writing the stevie wonder book brought home the quality of the work that came out of those doors,and it lends itself to opening up so well. 6] again no improvisation required,it's locked in to this elegant theme and variations from the a great collection,the fitzwilliam virginal book. another of my favourite books,who needs a time machine when you can transport yourself with byrd’s imagination. 7] ...hard to escape the shadow of bill evans;I've performed works written for him by george russell, I teach using his sound and colours,and this tune wouldn't exist without his innovative compositions. I suppose this is the only ‘jazz’ track on the album;not that the others aren’t in my book,a framework of harmony and inprovisation fulfils the word jazz for me,swung or not...others might differ. 8] ...a chapel designed by le corbusier in the 50's; it's easy to imagine the way those odd windows light the interior,and the sense of balance the building achieves.... modernism with curved edges... I guess messaien isn't too far away. about says it all really,must go there one day. 11] written for students to perform,this is a 4 piano piece that hopefully dissipates the tension at the start; joanna macgregor came to mind... obviously overdubbed the other 3 piano parts in the studio,though it has been performed at CYM by a hard-working group of students! this starts out purposefully dissonant so don’t be put off by the crashes,a nice tune will be along shortly.